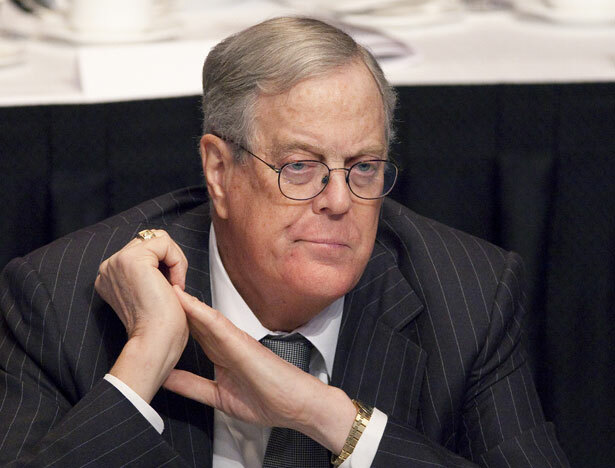 The Kochs adore Walker, but there’s a problem. He polls poorly against Clinton—even in his home state. First privately and then publicly, Koch signaled that the massive political apparatus he and his brother Charles oversee—with $900 million raised from the Kochs and their fellow billionaires at help favored partisans win control of the federal government in 2016—will not intervene in GOP primaries on behalf of any candidate. Not even Scott Walker. For now, at least, the Kochs won’t spend against the Wisconsinite. But they won’t spend for him. Yet, in the race for the 2016 Republican nomination, Walker could be a king without a Koch crown. Some of the wealthy allies of the Kochs may back him, to be sure. But at this early stage in the competition, for the Kochs themselves, Scott Walker’s is merely a first among equals. How come? Perhaps because, despite David Koch’s show of bravado on Monday, Walker may not be the strongest Republican contender against Clinton. And what matters most to the billionaire brothers in 2016 is not the race for the Republican nomination. It’s the November race for control of the White House. To think otherwise is to imagine that the Kochs are starry-eyed idealists rather than focused and serious partisans. Walker is a stylistic favorite of the Kochs, to be sure. But this is about more than style. In a new CNN/ORC poll, Clinton leads Walker nationally by a 59-37 margin. That’s closer to a Franklin Roosevelt 1936, Lyndon Johnson 1964, Ronald Reagan 1984 blowout for Clinton than a “major margin” for Walker. In fairness to Walker, he has posted better numbers against Clinton in other polls. For instance, he was only down 14 points in a late March ABC News/Washington Post survey. There are surveys that put him closer. But, in all recent polls, he’s trailing the Democratic frontrunner. What’s worse for Walker is that his numbers against Clinton are not so strong as those of other Republicans. Walker runs a notably weaker race against Clinton than Jeb Bush or Marco Rubio in head-to-head national matchups, according to the CNN survey. Even Rand Paul, Chris Christie, and Mike Huckabee get closer to beating Clinton than Walker. Walker cannot even count on his home state. A new poll from Wisconsin—a traditional battleground in presidential elections—has Clinton 12 points ahead of Walker, for a 52-40 margin. By comparison, Clinton beats Paul by just eight points in Wisconsin, according to the Marquette University Law School poll. Among the voters who know Walker best, even Bush runs better against Clinton. The Koch brothers know Walker, too. They still like him. A lot. But there may be a reason why the Kochs are not quite ready to invest any of that billion-dollar budget in Scott Walker’s primary campaign. It may be that, for all of his talk about how Walker would win by “a major margin” in November, 2016, David Koch has seen the polls.